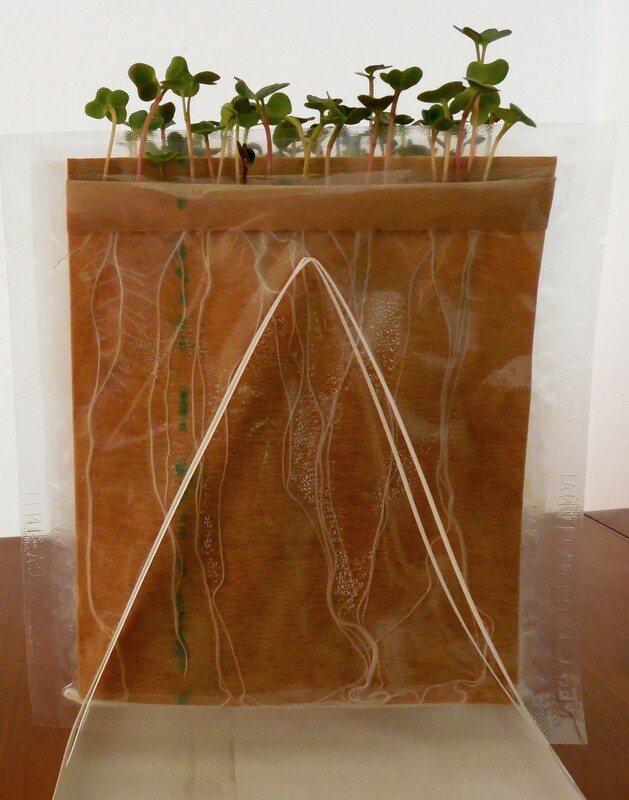 The CYG germination pouch is an inexpensive space-saving tool designed to replace pots and glassware in root development observations and is now available in two sizes. The original size is 6 1/2 inches wide by 7 inches high (16.5 cm by 18 cm). 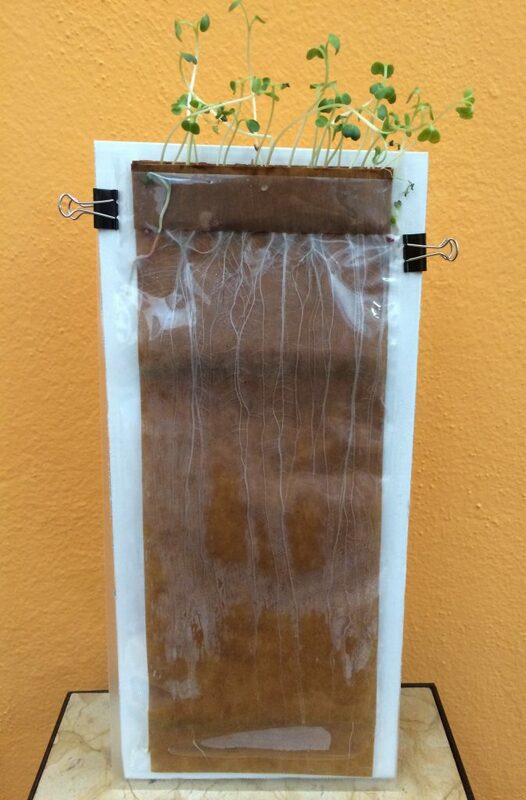 Our longer (large seed) pouch is 6 1/2 inches wide by 14 inches tall ( 16.5 cm by 35 cm). The trough measures 1 1/2 inches deep (3 cm) to accommodate larger seeds. The CYG germination pouch is used by universities and research centers worldwide and NASA, as part of its Space Program. Please see the appropriate order page for pricing of our products by clicking on product of interest.